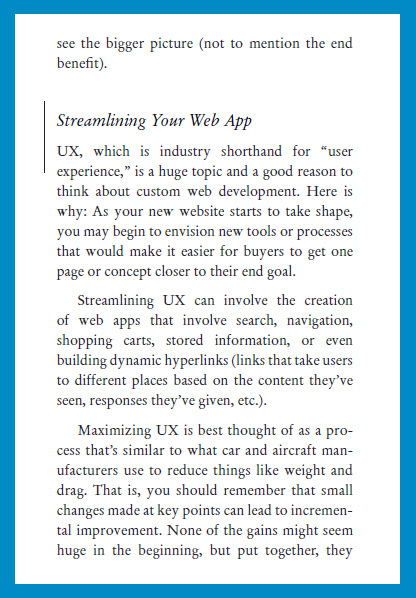 You probably use two or three web apps every day without realizing it – they’re part of our daily lives! Web apps can automate and improve, saving you time and money by making your website more powerful. You’ve got an idea for a new web business… now learn how to bring it to life in the real world! 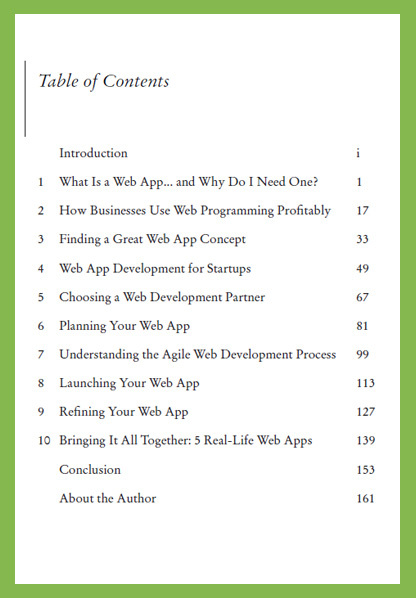 If you want your web app to be successful, you have to get started on the right foot. I’ll show you how. You don’t have to be an expert programmer or entrepreneur to make your web app work, you just need the right advice. You won’t just learn about web apps - I’ll walk you through five profitable and effective real-world examples. Have you ever wished your website could do more than show visitors information about your company and its products or services? Want it to bring in new leads, automate time-consuming tasks, or simplify a process? Or do you have a great idea for a startup, but don’t know how to turn your concept into a great website? 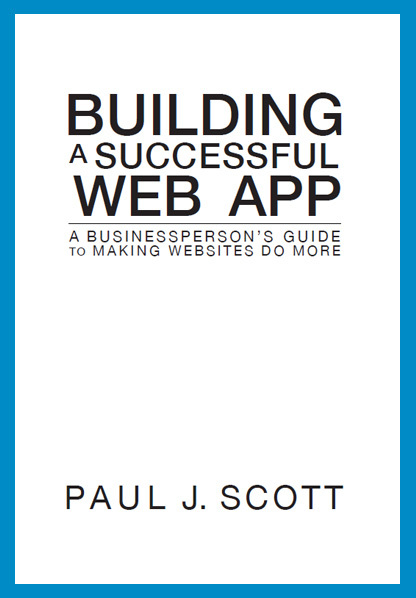 In this book, entrepreneur and veteran web developer Paul J. Scott walks you through the process of coming up with a great web app concept. With the right bit of custom programming, your website can take away some of your biggest headaches. It can automate tasks like billing, scheduling, and data entry. Or, it can give you a competitive advantage that no other business in your industry can match. Is your concept one you can use to build a business, or to make your existing company more profitable and effective? 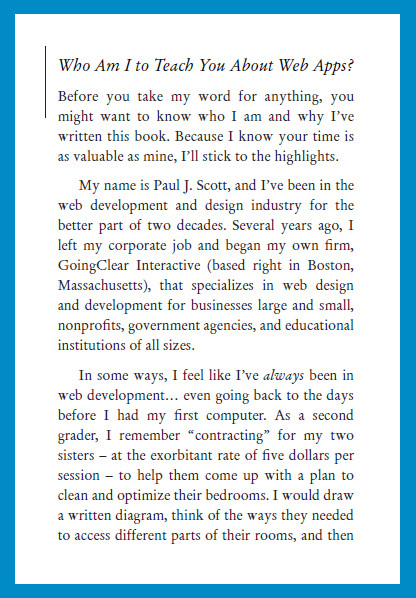 As a veteran web programmer and entrepreneur, author Paul J. Scott will help you to find the real-world answers you need. Brand-new businesses have special considerations when it comes to developing web apps. They need solutions that are affordable, effective, and can be brought to market quickly. I’ll show you how to use your website to get your new venture off on the right foot. 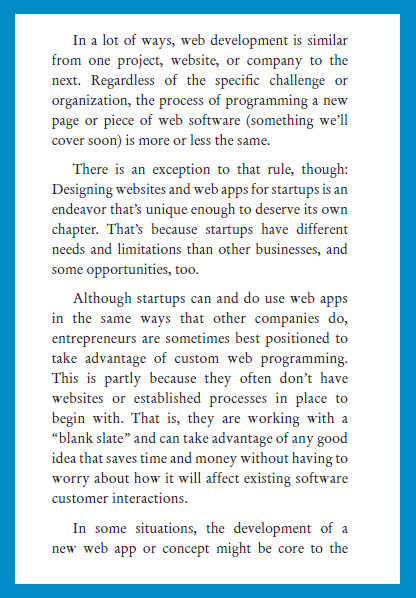 No business owner, no matter how new or experienced, wants to spend more than they have to on web programming. I'll show you how you can create a viable app on a tight budget and timeline. Having a great idea for your web app is just the first step – you also need the right creative team to bring it to life. 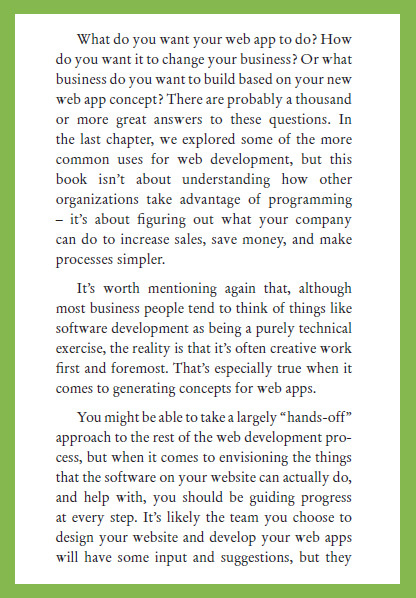 In this book, you’ll learn exactly what to look for when choosing a programming vendor so you can launch a product that’s both stable and profitable. 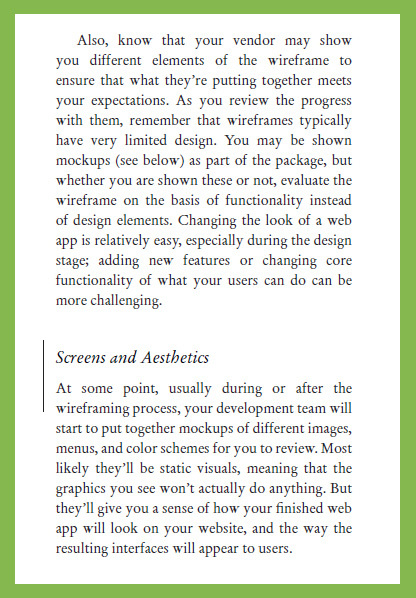 Designing and launching a new web app can be a complex process. It gets much easier (and less expensive) when you start with the right plan in place. I’ll show you what that plan should look like, and which questions you need to think about before coding begins. You can build the world’s greatest web app, but that won’t matter if you don’t properly test it and promote it. I’m going to show you exactly what goes into a successful launch, and how to turn initial interest into sustainable growth. Your web app is never really finished. As long as you keep looking for improvements, you can find more ways to stand out in the market and use your website to help the bottom line. I can show you how to do that using common sense and customer feedback. I don’t want to just give you advice about web apps - I also want to share some templates for real-world success that you can duplicate or use for inspiration. 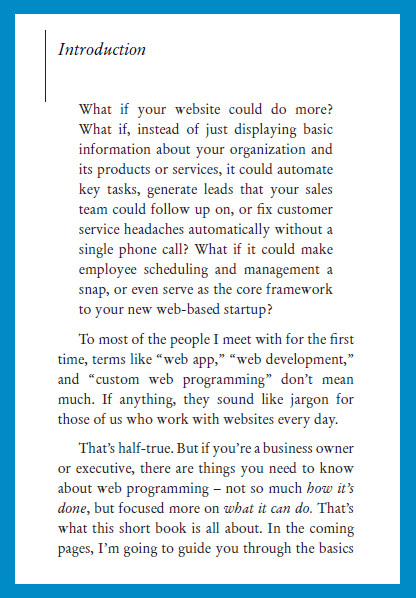 You can build a smarter, more efficient business on the web, and you’re going to learn how in this book. Seen enough? Ready to buy? 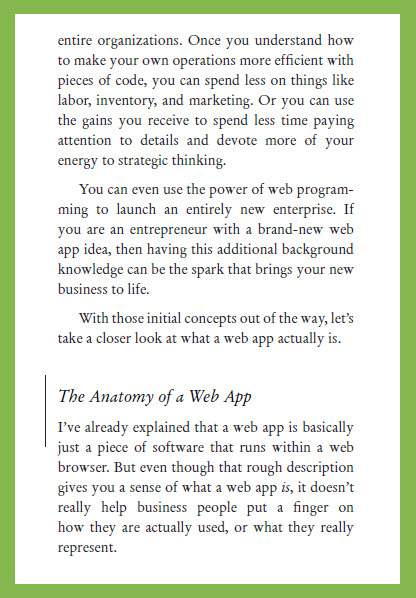 This book is the perfect introduction to web apps (a.k.a. custom web programming) for business owners or entrepreneurs who want to see their websites be more profitable. Paul J. Scott is a veteran entrepreneur and web programmer who was helped dozens of people take their inspirations and turn them into profitable real-world businesses. There has never been a better time to launch a new web app that starts or grows your business. We all use web apps every day, and the market is ready for your next big idea! 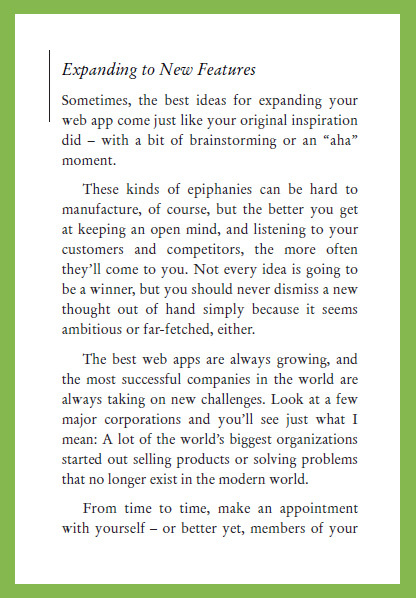 This is the one guide you need to start integrating web apps into your business, or take your concept and turn it into something you and your customers can use. Paul J. Scott is a business owner, web based startup specialist, startup founder, and founder & president of GoingClear Interactive, a Boston based web design, web development and web app firm. His focus is helping businesses grow from zero to success, especially those who are web based or in need of a web app. 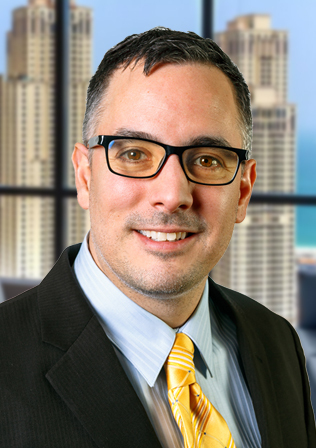 Learn more about Paul by checking out his LinkedIn profile below.